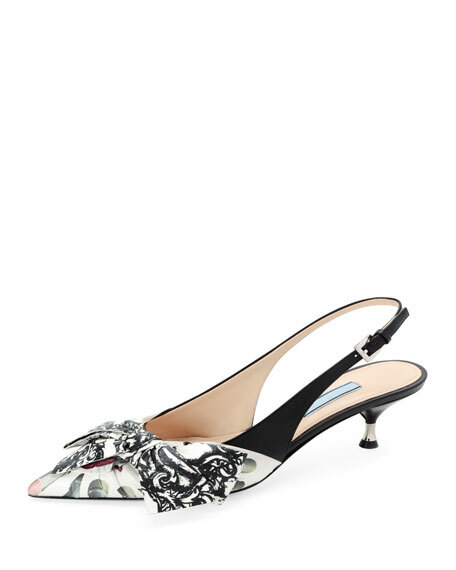 Prada pump in lipstick-print napa leather with solid-color, adjustable slingback. 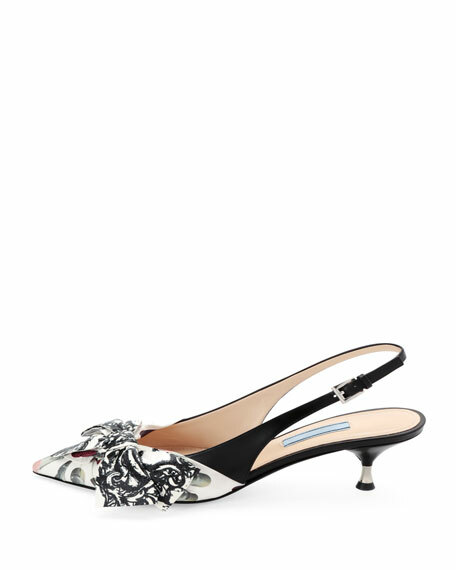 Ruched, pointed toe topped with baroque-print bow. 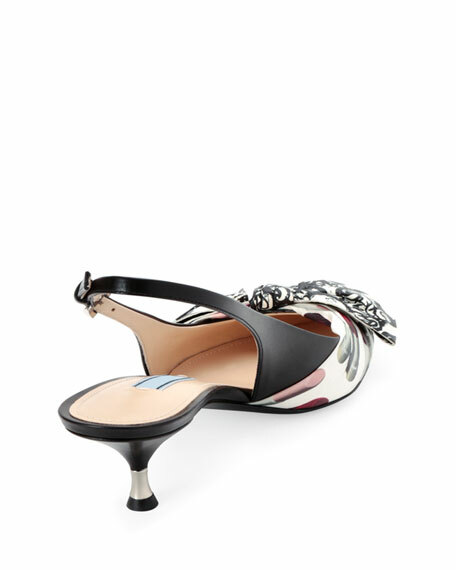 For in-store inquiries, use sku #2614456.